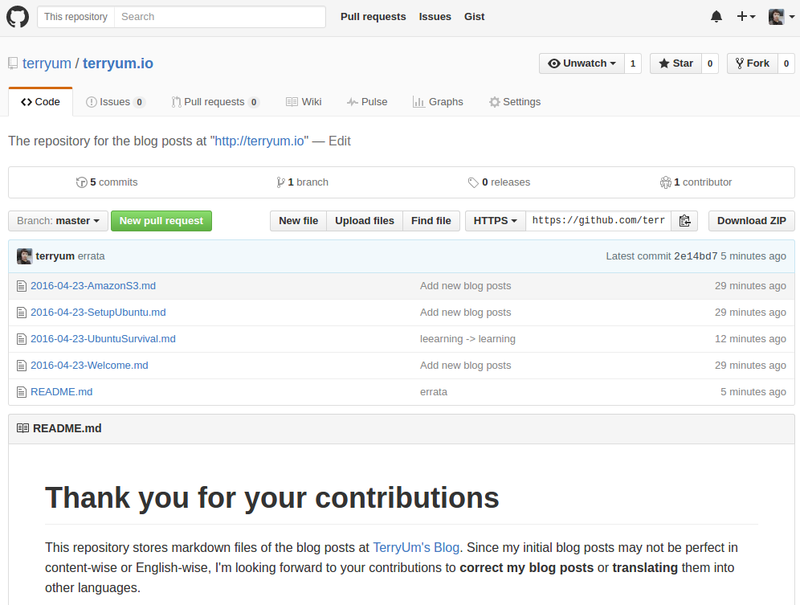 This repository stores markdown files of the blog posts at TerryUm’s Blog. Since my initial blog posts may not be perfect in content-wise or English-wise, I’m looking forward to your contributions to correct my blog posts or translating them into other languages. If you have found errata in the post, or have better sentences to describe the contents in the post, please directly modify the makrdown files(.md) and pull a request. You can also correct misconcepts of the contents in the post. If you don’t want to directly correct it, but just want to let me know your feedbacks, please use Issues section which is on the tab menu. If you leave your feedback about the post, I’ll correct it by myself according to your feedback. I’m looking forward to supporters who is willing to translate my posts into your language(e.g. Korean). Your tranlation will help other people to easily read the posts. Please upload your translated markdown files with the title of “OriginalTitle_LANGUAGE.md”.